Torrefied biomass is particularly well suited as a starting point for syngas production and further catalytic or enzymatic conversion into high value biobased fuels and chemicals. In today’s world, the production of many fuels and chemicals is still based on fossil oil and gas. 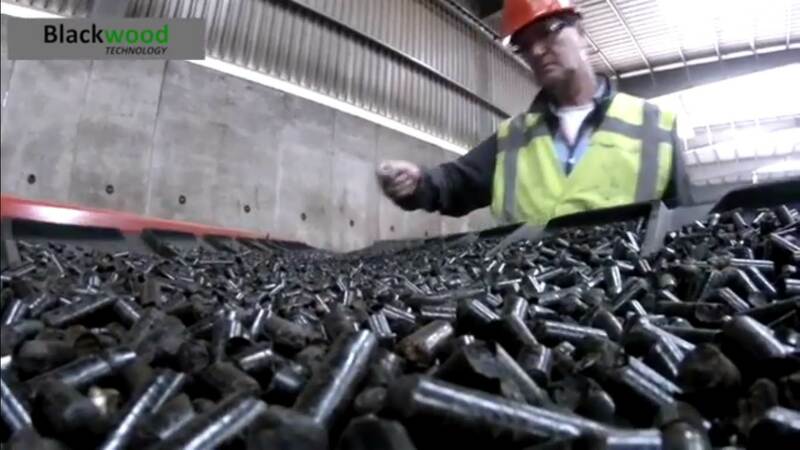 From a technical point of view, almost all industrial materials made from fossil resources could be substituted by their biobased counterparts. In fact, current global biobased chemical and polymer production excluding biofuels is estimated to be around 50 million tons1. However, the majority of organic chemicals and polymers (330 million tons1) are still derived from fossil based feedstocks either because the cost of biobased production exceeds the cost of petrochemical production or proven industrial scale production processes do not exist yet. But this is changing, as we can see around the world significant steps are being taken to make this transition happen. A key factor in the successful realization of a biobased economy is the development of biorefinery concepts. This allows for highly efficient and cost effective processing of biological feedstocks that can produce a range of biobased products and further enables the integration into existing infrastructures. 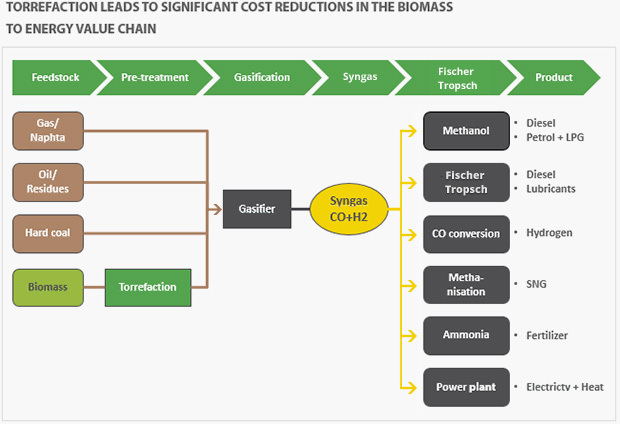 Torrefaction is an enabling technology for using biomass as feedstock for syngas production. Due to its high heating value, homogeneous properties and easy grindability, torrefied biomass is the ideal input for CFB and entrained flow gasifiers. Syngas can be used to produce power or it can be converted by catalytic processes to produce chemicals and fuels. Among the retrievable products are methanol, ethanol, dimethylether, butanol, hydrogen, ammonia, and Fischer Tropsch diesel. On the basis of these products further chemicals, polymers and plastics can be produced. Also, the syngas itself can be further processed by fermentation into longer chain chemicals such as oleochemicals, polymers and many other products.